Full Disclosure: Last winter break (when I was a 1L), I had my wisdom teeth removed two days after Christmas, so a majority of my break was spent recovering from that. Even when I wasn't recovering, I still wasn't having the best time, as I couldn't eat or drink everything I wanted to and when I went out in public, I slightly resembled a chipmunk. Therefore, some of my suggestions are things I plan on doing this winter break, as I will not be getting surgery this time around. Finals are tough- regardless of if you have one week of finals or three weeks, you need to take some time to yourself to recover and reset. Sleep a couple of days, book a spa day or massage, spend time binging the newest show on Netflix, read a book for leisure, etc. Make sure to spend time for yourself so you can come off of the finals high and recover from the exhaustion of finishing your semester. As it is the holiday season, make sure to celebrate, and not just on one day. Celebrate by having a secret santa with your friends from back home or having a baking day. Go see Christmas lights. Do something fun for New Years. No matter what holiday you celebrate, keep with the traditions you and your family have. Make sure to embrace the holiday season, after all it only comes around once a year. This is pretty easy to do as it is the holiday season, but it is important to keep in mind. Stay in touch with your friends from college or high school. Make plans to see them and grab lunch or coffee with them. Have a shopping day with them, or just lounge around enjoying each other's company. 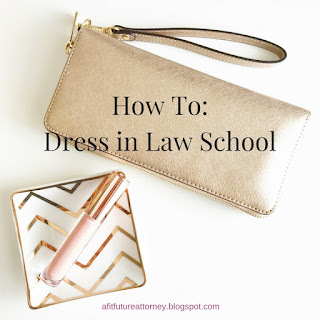 This is especially important if they are not in law school. 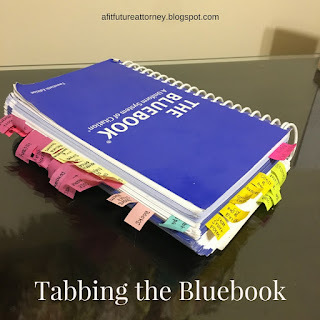 Being with non law students can be super refreshing and can help you take a (needed) step back from law school, cases, memos, and worrying about grades. Make sure to have fun, whatever that means to you. Travel, eat at your favorite restaurants, explore your hometown, spend time with loved ones, etc. Make sure to do the things that you love that you have not been able to do so during school. Maybe even try to find a new hobby while you have the time over break. This is one of the not-so-fun things that has to be done, especially if you are 1L. Hopefully, you've gotten your legal writing memo back, so you can make edits and use that for your writing sample. Now is a great time to update your resume and draft cover letters. The sooner you get your apps in, the better. If you apply soon enough, you may even be able to interview before the spring semester starts, which will lighten the load of next semester. Another not-so-fun thing to do over break, but also important regardless of what year you are. Now is a good time to put important dates in your planner, so you are prepared for the semester. The most important thing is to buy or rent your books. You may also want to stock up on school supplies so you don't run out right when you need it. No matter how you spend your winter break, make sure you take time for yourself to recover and sleep after finals. Also, as not fun as it sounds, make sure you are thinking of next semester and this summer. How are you spending your winter break? Are you traveling anywhere fun?? Leave a comment!